Cash literally rolls in - but should town councillors cheque out? 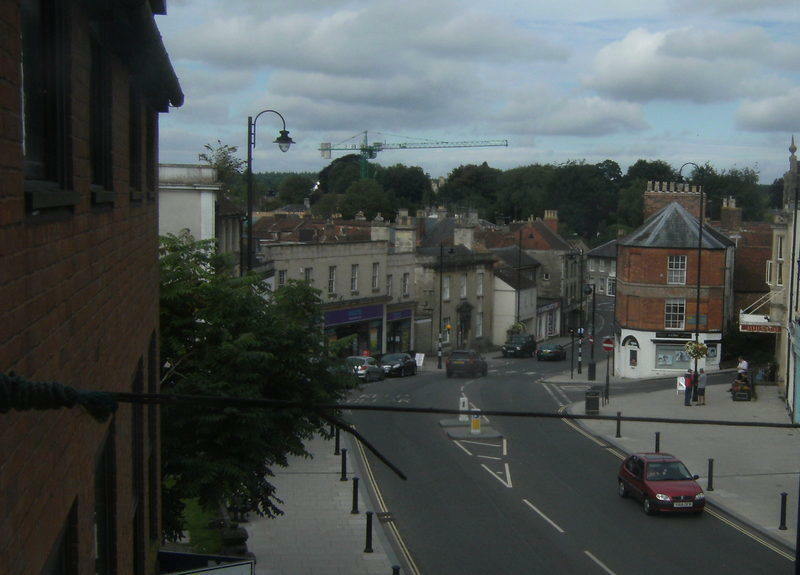 CASH by the beep of the horn is the latest sight in Warminster as motorists pass the 'A-board' outside the blighted and pigeon infested 'Lord Bath' Town Hall. "Take this quick," said a Scottish accent as the woman driver handed over five pound coins to be be thrown into Cllr. Chris March's collection can. Money is not only rolling into the collection fund of Warminster Preservation Trust as it takes on the rest of the world to gain control of Warminster's Town Hall building donated by the Bath family. The building, empty and decaying for more than five years, and described by a former mayor as 'as the most expensive pigeon loft' is being sold at auction in Bristol in days. 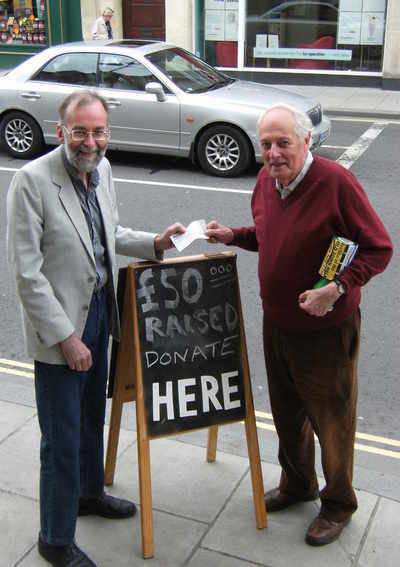 VFM'S Paul Macdonald handed over his £100 contribution to the cause to councillor Chris March who is one of the preservation trust's trustees. "The town council have to now act as the public have acted and bring out their chequebook,' explains Paul. "I was the first at the meeting ironically held at their current home to pledge £100 to the town hall when the time came. "It is this week. They are given the power to support their community in their wishes with cash that they ask for each year from them to support just this sort of thing. "Pavement politics has taken on a new meaning in Warminster. Widen the pavement outside with council cash don't support for the town hall. "This town hall is begging for help and it has one of the best ambassadors pleading its case. The Warminster Preservation Trust with its exemplary record has enormous public support. "I urge the town council on Tuesday to offer money immediately releasing a five-figure cash sum to pump prime the costs of buying the town hall and then agree that they will authorise a loan should the purchase be successful. "In only four years that I served on Warminster Town Council I can look back to our legacy. "It was achieved with the support of my late father and our team of councillors. "There is a monument to our achievements in the shape of Crusader Park, the modernised Warminster Town Football Club, and the rural buffer zone around the town. 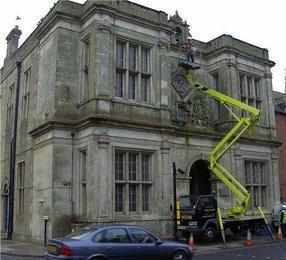 "These are just three examples of the good work that a town council can do. This council can be applauded for working on things they have inherited but they have to ask themselves a question. "What they can look forward to telling their grandchildren about after they have voted themselves six years to do it? "I urge the public to scrape together the £100 as I have and turn up waving their cheques at the extraordinary town council meeting on Tuesday!"